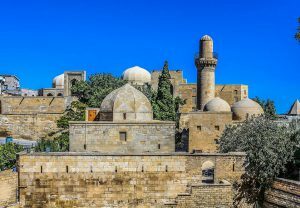 Восхождение на Ама-Даблам и треккинг в Базовый лагерь Эвереста с В. Бобком 160 110 руб. Выходные в горах 10 500 руб. Энергия Апшерона 29 604 руб. Attention! 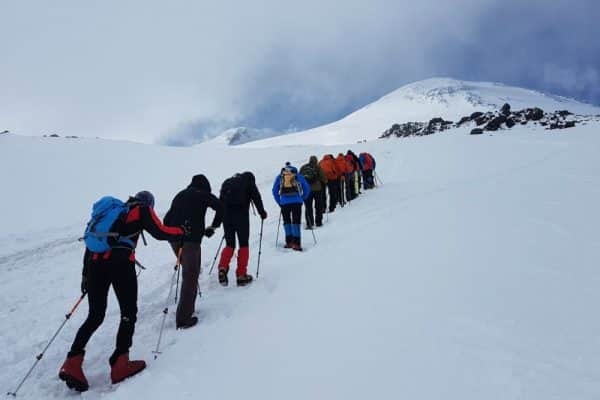 15-22 June and 20-27 July you have a great opportunity to climb Elbrus with professional guide, who climbed Everest 5 times, completed 7 Summits and Explorers Grand Slam – Victor Bobok. 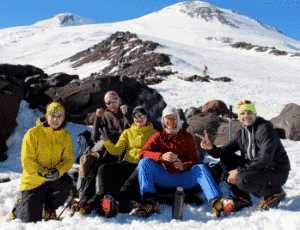 Elbrus is one of the more accessible of the seven summits and the highest peak in Europe. Make your dream of high mountains сomes true! 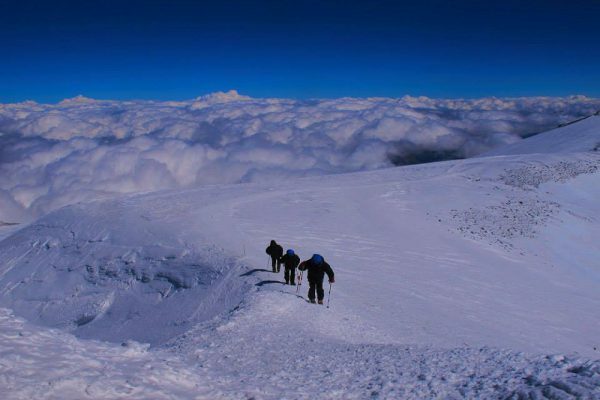 The most popular, fast and safe route on the Mount Elbrus is via the south side. 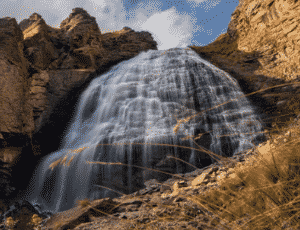 All time you are in height hut, you will see fantastic panorama all of Caucasus. 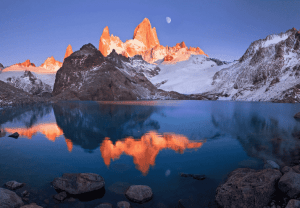 Enjoy incredible sunset and sunrise over mountains. 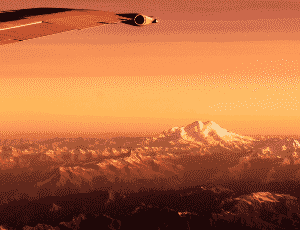 On the Summit day at sunrise you will see Shadow of Elbrus in the Sky – interesting optical phenomenon. If you like comfort, if your lifestyle is «Fast and Lite» – choose south side. 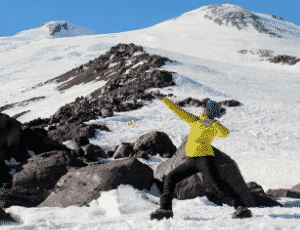 It is the easiest, safest and fastest way to climb Elbrus. Day 1. Arrival at the airport of Mineralnye Vody. Moving to the Elbrus region. Arrival to the airport of Mineralnye Vody. Meeting with a guide of program. In Mineralnye Vody, it is necessary to arrive before 14:00. From airport Mineralnye Vody the group transfer departing at 14:00. 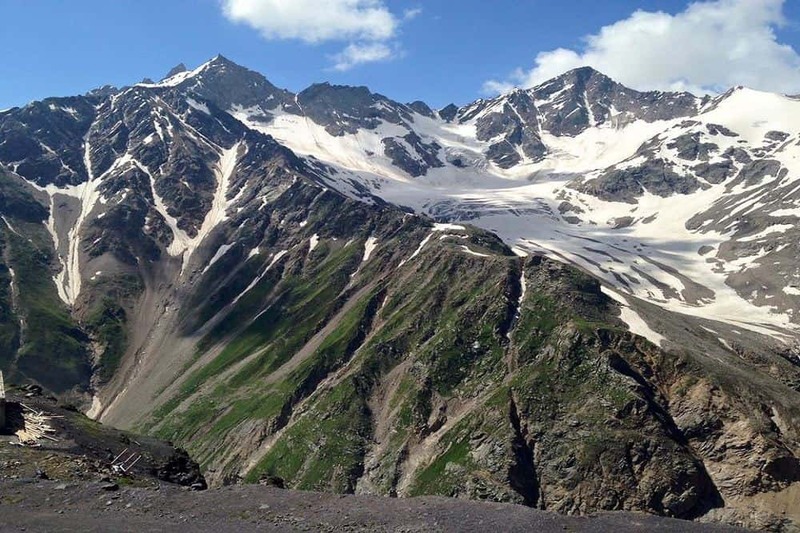 Transfer to the Elbrus region takes about 4 hours, on a minibus for the group members. Arrival to the glade Cheget, check into the hotel. Dinner in a hotel or one of the cafes on Glade Cheget. Day 2. Acclimatization to the height of 3100 m. Preparation for the ascent program. Breakfast in a hotel. 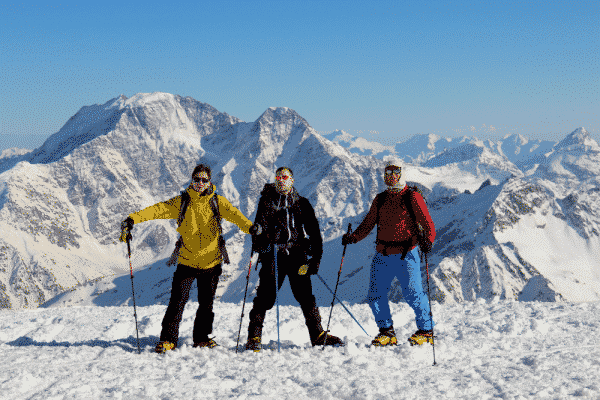 Acclimatization access to the slopes of Elbrus to the waterfall «Devichye Kosy» and the observatory «Peak Terskol» to an altitude of 3100 m. From there, a beautiful panoramic view opens by the mountains of Caucasian ridge. Descent down to glade Cheget. Lunch in a cafe. After lunch, check the clothes and equipment necessary for climbing Elbrus. All the missing can (should) be rented. Dinner in a hotel or one of the cafes on Glade Cheget. Day 3. 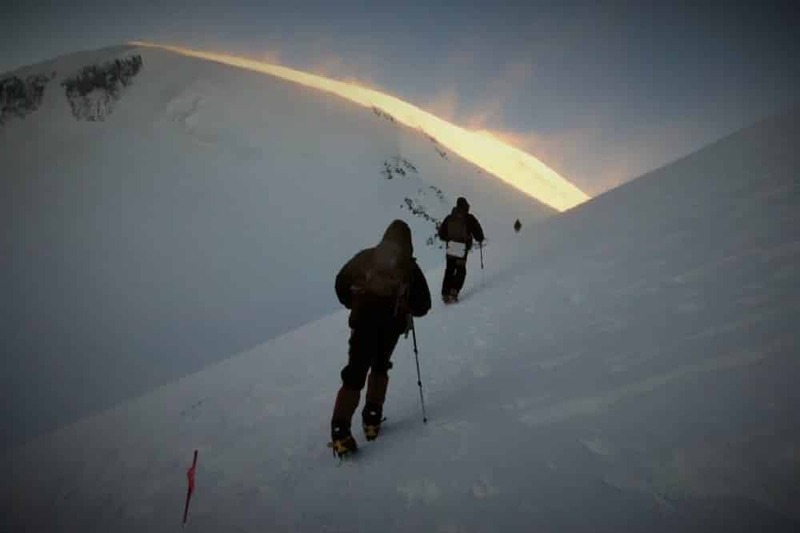 Ascent to the shelter on the slope of Elbrus. Acclimatization output up to 4400 m.
Departure from the hotel to the Azau meadow. In a hotel you can leave things that are not needed when climbing Elbrus. Rise on the gondola lift to the station «Gara-Bashi» (3800 m.), Settling in the shelter. The acclimatization exit to «Shelter 11» (4100 m., 2 hours), or to the end of the Ridge (4400 m., 4 hours). At the exit – training in cramping on firn and ice, classes on self-retention in snow from falling in different positions. Dinner. Night at the shelter. Day 4. . Acclimatization up to 4800 m.
Today we will pass by the already familiar route to the Ridge of rocks, and then we will rise to the Pastukhov’s rocks (4700 m). The maximum program for today is to rise even higher, reach a height of 4800 m or even higher – before the beginning of the oblique shelf (5000 m). The turning point will depend on mood, physical condition and weather. The main thing for us is not to give all the best, but to keep our strength for the final breakthrough. Day 5. Rest day. Snowy classes. Preparation for the ascent to Elbrus. Late breakfast. Exit to the slope near the shelter for snow training. The guide will again tell and show how to use the equipment properly, explain the tactics of the upcoming climb. Lunch at the shelter. After lunch, determine the time to go to the assault. Dinner at the shelter. 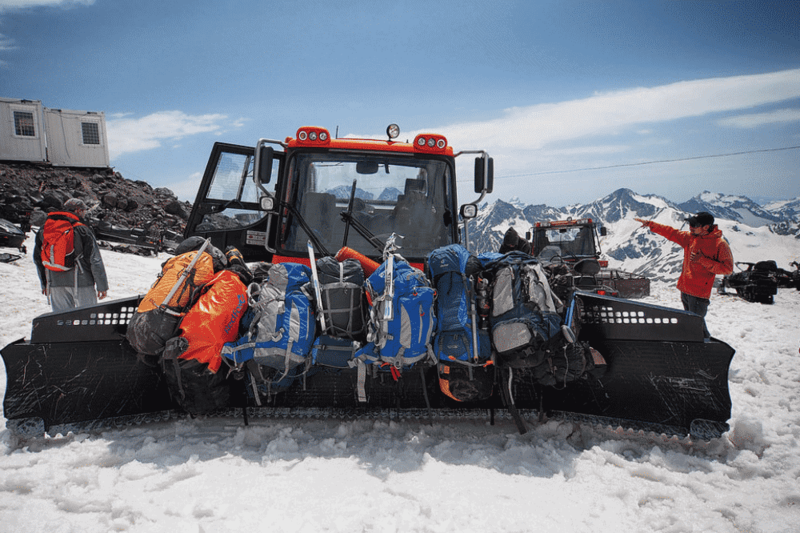 Preparation of clothes and equipment for the ascent to Elbrus. Night at the shelter. Early breakfast. Depending on the weather and the condition of the participants exit at night or early in the morning. During the ascent, you can use the services of a ratrake to climb to different heights – this saves considerable time and energy. Attention to the participants !!! All questions related to the ratrake are discussed on the spot, the day before the ascent. The guide is not responsible for the ratrak and its organization, but can only help the participants in this matter. 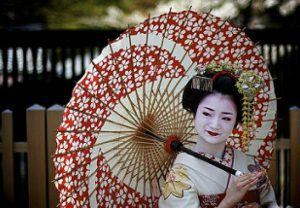 The ascent passes along the classical path, through Sedlovinu. 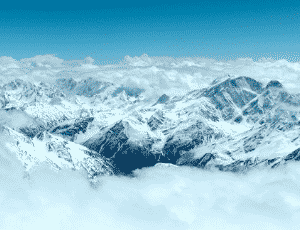 The access to the highest peak of Europe is Elbrus Zapadny. 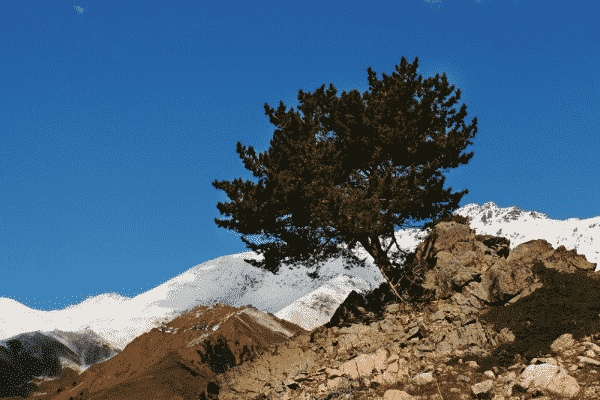 During the ascent we will see the stunning scenery of the Caucasus Mountains at dawn. From the top of Elbrus a grandiose panorama of the Main Caucasian ridge stretches from west to east for many kilometers. Descent from the top. If the group manages to descend to the orphanage by 13.00, on the same day it is possible to descend to the Cheget glade (the ropeway works approximately until 2pm). Overnight at the hotel. If the group does not manage to descend, dinner and overnight at the shelter. 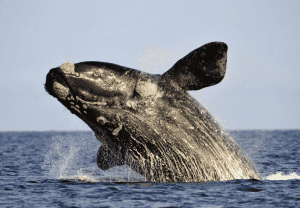 A reserve day can be used to adjust plans due to weather conditions. A spare day for climbing. The program looks for descent down a same day. If the group did not manage to go down on the day of the ascent (Day 6) – breakfast at the shelter, descent to the Azau meadow, transfer to the hotel and accommodation. Free time in the afternoon, rest. 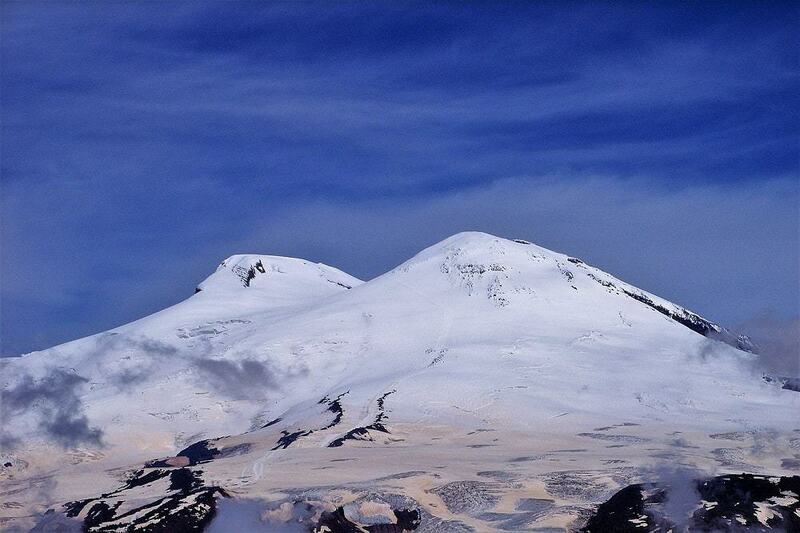 In the evening dinner is dedicated to the ascent to Elbrus. Overnight in a hotel. Day 8. Farewell to the mountains. Airport transfer Or transfer to the neighboring gorge. Continuation of the tour. Breakfast in a hotel. Departure to airport. Group transfer to the airport at 10.00, unless otherwise agreed. 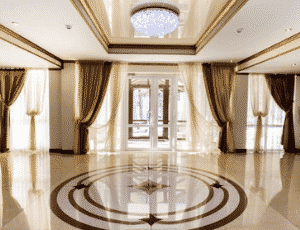 Expected arrival to the airport of Mineralnye Vody – 13.30. Attention! If a reserve day was involved and the group did not manage to descend to the Cheget glade, staying for the night at the shelter, the descent down is possible on the day of depart from 9.00, when the cable car begins to work. It is recommended to buy tickets of flight with departure after 4 pm! In the Baksan valley we put our clients in the Jantamal Hotel on Cheget Glade. Double rooms, free Wi-fi in the hall. Our high hut on Elbrus is at 3750 m away from the Barrels. 4 persons in the room. There is a canteen, electricity from a generator, toilet booth outside. Meals are the usual European type. Lunch-packets for outings are chocolate bars, apples, juice, nuts etc. We will change the menu on demand (as always do for Indonesian, Korean clients etc) and for vegetarians of course. If you have special preferences we will consider. At all times while in Russia you should have the following documents: valid passport with Russian visa, immigration card and Voucher (part of our two invitation papers). Health-care on the mountain is limited to the first-aid kit the guide carries. 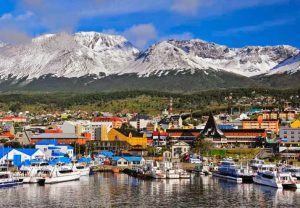 Down in the valley in case of serious health problems the local hospital and your medical insurance policy are to take over. 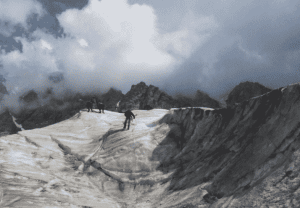 Your policy must cover climbing to 6000m. We do not provide any insurance! Take the personal medicine enough that you need. Mobile phones function to 5000m. Internet is in the Hotel. 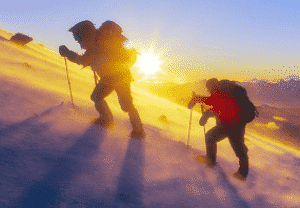 In any high mountains the higher you go, the more difficult and uncomfortable the conditions. 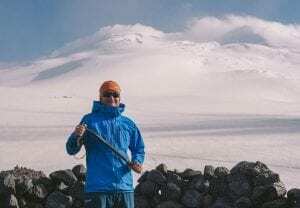 Elbrus is 5642m, so, on this trip the range of your clothes and footwear must comply with hot sunny day down in the valley and with snow blizzard at 0-5C on the mountain. For details see our gear list. For land transfers we use comfortable private minivans. To get to Garabashi huts we use Elbrus cable-ways, car and chair-lift. Important. In case the Elbrus cable-ways do not work (does happens, but very seldom) and in case you would not want to carry up all the loads on your back, the extra expenditure (not listed in «price includes») on a four-weel truck to the Garabashi huts are to be divided between the clients. Then the cost of the cable-ways tickets will be taken into account. The same if the group decides to descend after the climb, when the cable-ways will already not work. 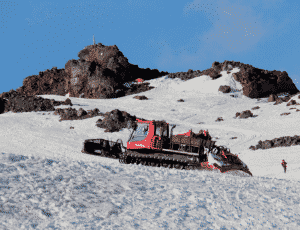 On the day of the ascent a Snow Cat can bring you as high as 4600m, 4700m and even to 5000m. 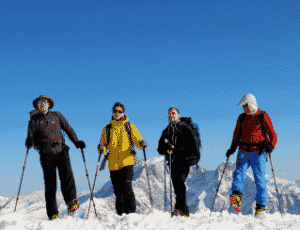 This service is highly recommended, for a lot of time on the ascent is spent on walking over vast and almost flat snow fields at lower altitudes. As a matter of fact these distances will be already covered on the acclimatizing outings. The price per person for this lift depends greatly on the height you want to get to, on the machine’s capacity and group size. It may be from 50USD up to 200USD and even more. Your guide will deel with this after discussing the point with the group. Please plan your arriving to Mineralny Vody before 2pm: the group transfer from Airport to Terskol leaves at about 2pm. If you arrive more than half an hour later than that, please be ready to pay for an individual transfer to the hotel (from 50 USD). The group transfer on the way back leaves at 10 am. Expected time of arrival to the airport Mineralnye Vody is 13.30 pm. Please plan your flight back to Moscow not earlier, than 4pm. 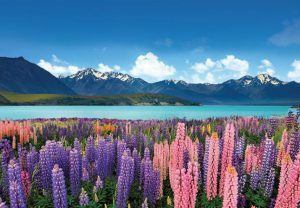 The English speaking guide will look after you while in the mountains. There will be lessons of belaying on snow and cramponning not far from the hut. 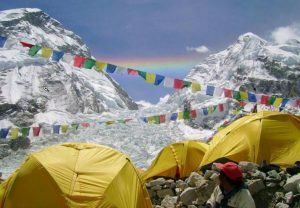 He will get the forecast and discuss with the group the best time and tactics of the ascent. During the ascent the group will be accompanied by guides-assistants (3-4 clients to a guide), who will bring down the weakened members. A cook will listen to your specific wishes and cook for you. Safety is of the highest priority for us. All the serious ourdoor activities, especially climbing, imply a certain amount of danger. 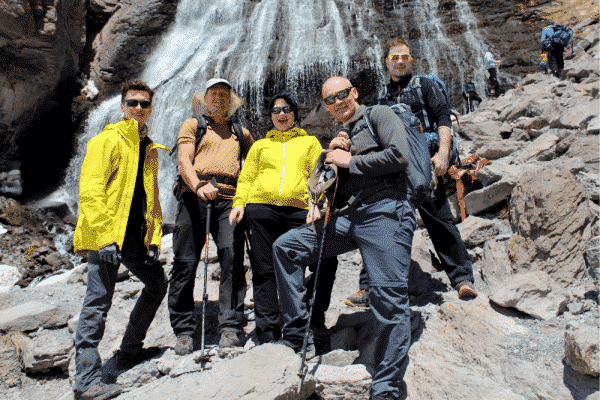 The guides who will work with you on Elbrus are fully responsible for your safety, so their authority in the safety measures during the climbing is indisputable. Their decisions when climbing will be the last and decisive. 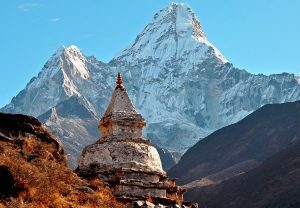 The guides will have all the necessary climbing gear, GPS navigators and radioes, mobile phones (they do work on the south side) and first-aid kits. 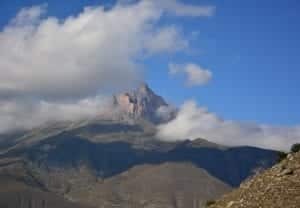 If it takes more than 7 hr to reach the top (using Ratrak) and more than 10 hr without Ratrak, the guide may recommend turning back due to low level of physical condition of the participants and it may be potentially dangerous for life and health of the whole group. Safety remains central in our efforts to fulfill commitments made with clients. Участие в экспедиции на Эверест до 7000 м!